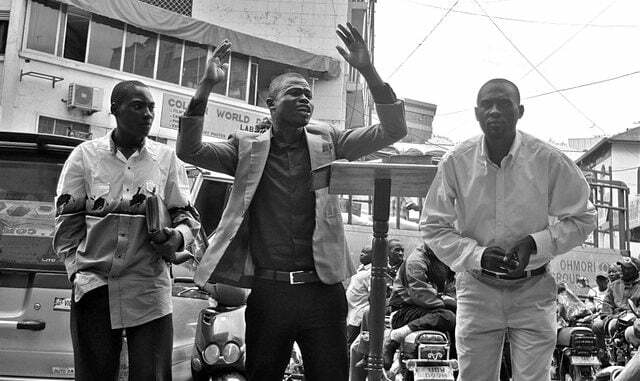 Street preachers in Kampala have asked Kampala Capital City Authority (KCCA) to call off warnings that it will arrest them. Courtesy Photo. Street preachers in Kampala have asked Kampala Capital City Authority (KCCA) to call off warnings that it will arrest them. A notice published by KCCA on Thursday clustered street preachers among people to be arrested. The authority said it has noticed increasing cases of unapproved activities such as street preaching, street vending, posting of banners and loud speaker advertising which contravenes the Kampala City maintenance of law and order ordinance, 2016. 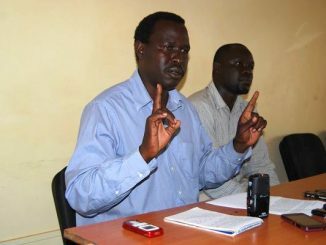 “Without further notice, KCCA will start to arrest and prosecute in courts of law among others street preachers, unapproved mobile advertising loudspeakers and people posting banners. This is to ask the general public to desist from any such unapproved practice,” the warning notice reads. Section 13 of Kampala City maintenance of law and order ordinance prohibits a person from hawking, plying his or her trade on any pavement, arcade, foot-way, and street without a license issued by KCCA. Jackie Mbabazi, a street preacher adjacent Mapeera House in the central business district told this publication that KCCA should let them continue spreading the word of God because the bible grants them the responsibility to preach. 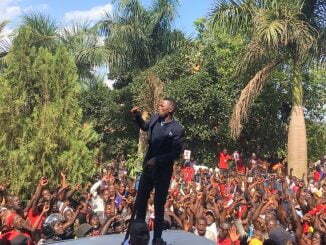 Mbabazi had a small horn shaped loud speaker preaching in Luganda at around 5:00PM on Thursday. Mbabazi also sells bibles and gospel music CDs. When asked whether her loud speaker isn’t making noise, she argued that it is small and it doesn’t make noise like big speakers of other people. Mbabazi who has been preaching since 2013 said it has helped her get money because many appreciative people reward her. She raised money to start a bible-selling business. Mbabazi subscribes to Namasuba Good Life Church Christian owned by Pastor Umar Mulinde. Ezra Wakabi, another street preacher situated at Jinja Road street lights asked KCCA to call all street preachers in Kampala and explain to them why they are going to be arrested. He argued that street preachers are smart people who don’t litter the streets, cause accidents or rob people. Wakabi said KCCA should let them continue preaching the gospel because Kampala is a city of evil doers who need to receive the word of God. “Many people don’t have time to go to churches but their lives change when they hear the gospel on the street,” he said. Wakabi, 31, who subscribes to Mbuya Pentecostal Church, has been preaching for seven years. He started preaching in 2010 along Entebbe road but came to Jinja road in 2016. Wakabi said he was a stammerer who got inspiration to start preaching after getting healed. Nevertheless, he still stammers when speaking.